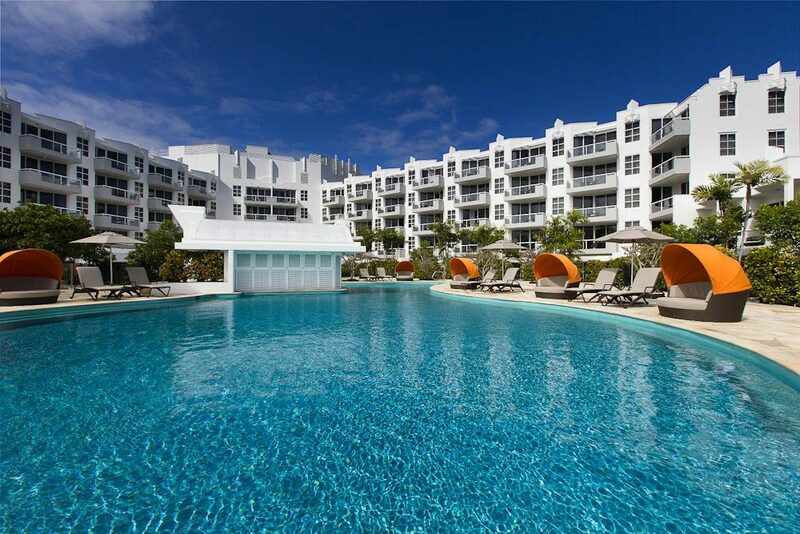 Pool-side: The white colour scheme and the new pool furniture are part of the refurbishment at Sheraton Noosa Resort & Spa. 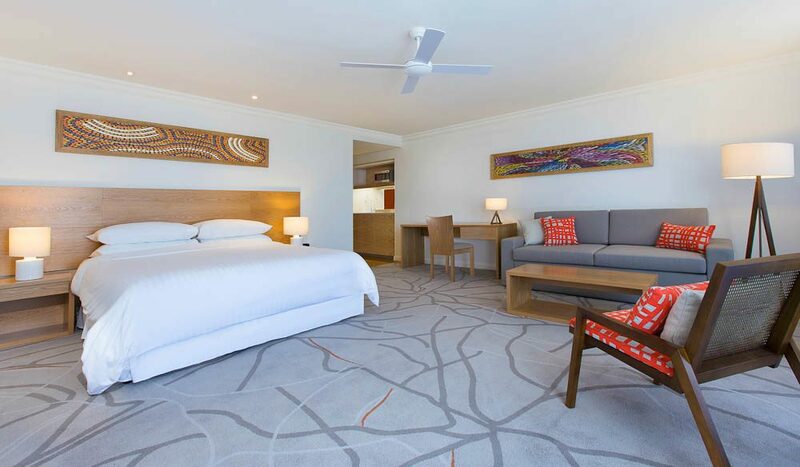 Well, Noosa never left, but her most iconic hotel, Sheraton Noosa, had begun to look like she needed a holiday. Now, after a year-long $10 million renovation, the peach-coloured walls that earned the ‘Pink Palace’ moniker have been replaced with white… and wait, there’s more. 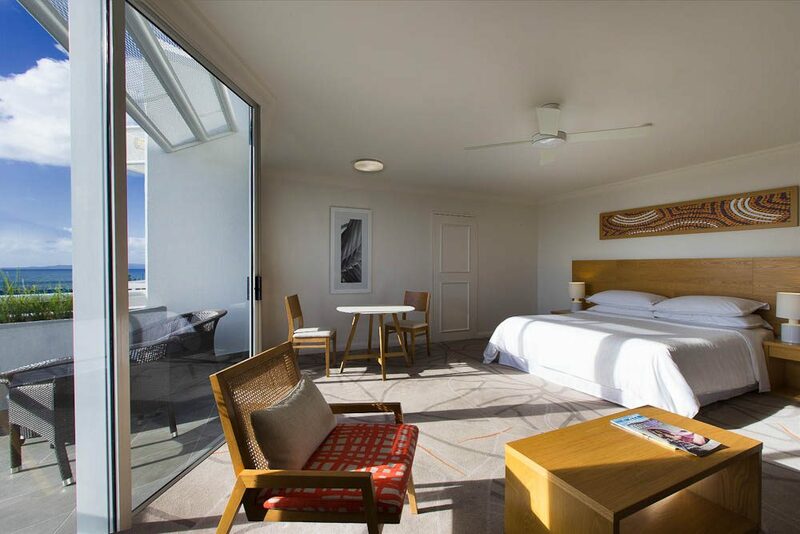 New-look, ‘Noosa inspired’ interiors now come with bright airy spaces, light wooden furnishings and a cream and grey décor punctuated by splashes of orange. And of course, the pièce de résistance required of every luxury hotel – a celebrity-chef-led restaurant – marks the centrepiece of the whole operation. 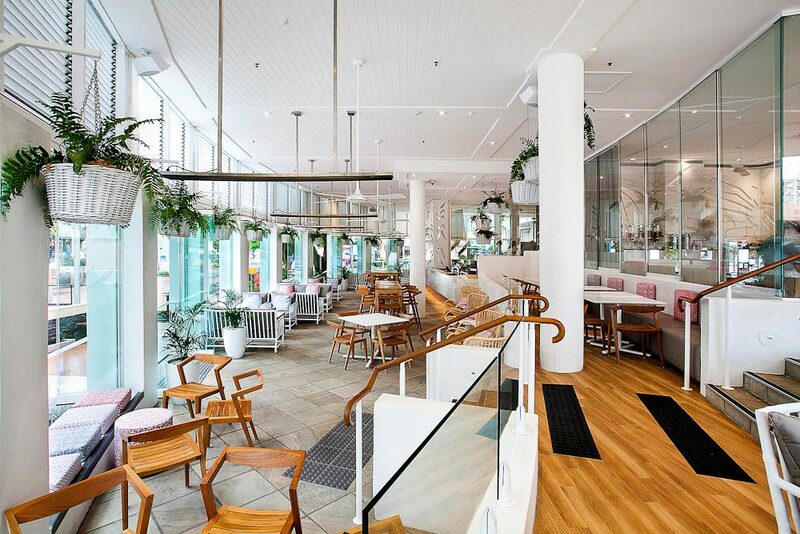 Noosa Beach House is a seafood-centric restaurant by chef Peter Kuruvita. The conference facilities receive digital refreshment and the lobby entrance and poolside fittings have been altered to suit the new look.